How cool is that! 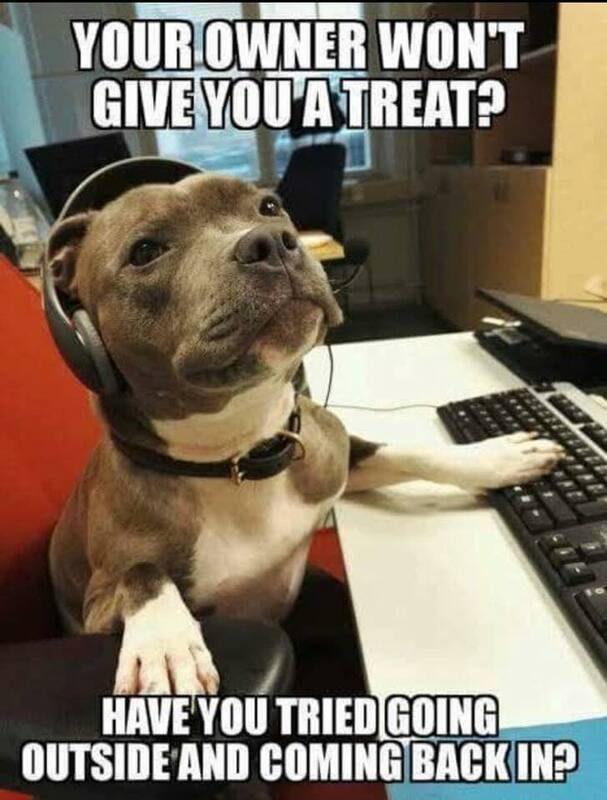 A doggy treats customer service hotline! I bet the staff at this call center give advice on a whole bunch of stuff. I’m so excited. I can’t wait to tell everyone. You know, Chloe the Bichon, and Harley the Golden, and all my friends at the dog park. But wait. Where’s that number to call? Gotta search for it online. Then, you know what I’ll do? I’ll post it on my Facebook page. Everyone will see it. Woof! Then it’ll go viral. Woof! Woof! Our guardians won’t know if they’re coming or going! Woof! Woof! Woof! I’m so, so excited, like, I can’t stop wagging my tail! For my human readers who have difficulty understanding dog-speak, don’t forget what I wrote last week. Never underestimate doggy smarts. They are prewired! 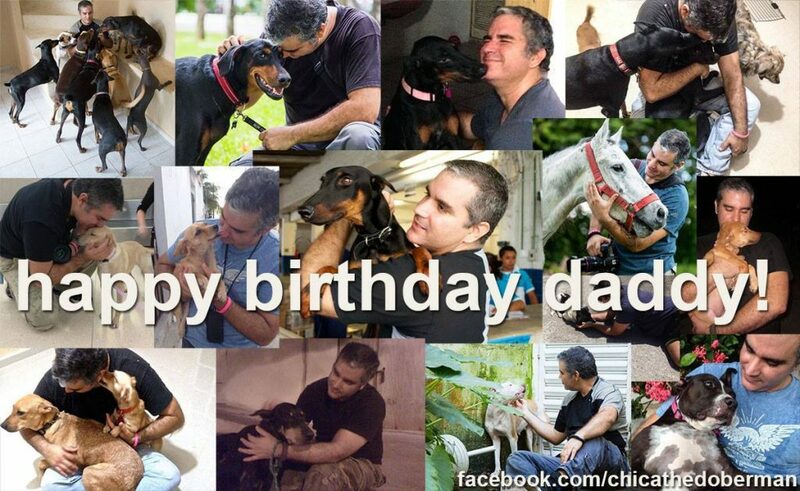 Have you ever researched “Cancún dog rescue” and seen “Cancún dog rescuer saved Chica”? Well, I’m Chica, Chica the Mexican Doberman survivor. The rescuer is Héctor, my dad. And I must include Carla, because she’s my mom and loves us both very much! Well, daddy and I have lots to tell you, so please, please stick around. 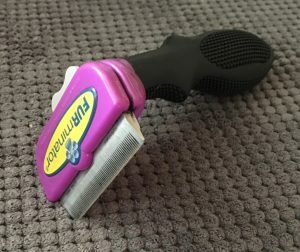 You just read Chica’s introduction to this blog which is the last in a six-part series. It mentions the heroes who work with street dogs in a specific area of south-east Mexico. What I intend to do here is point out that not all rescues and rescuers work alike. But they do have a common goal. They all strive to serve the animals in a region where the human population is struggling with severe economic hardship. These heroic people work separately, but together, to make meaningful and lasting change where it is so desperately needed. First there was Chuchis, a pit bull, heart worm positive, on death row at the local pound. Then came Akela, a Mexican Hairless that was going to be donated to a zoo. 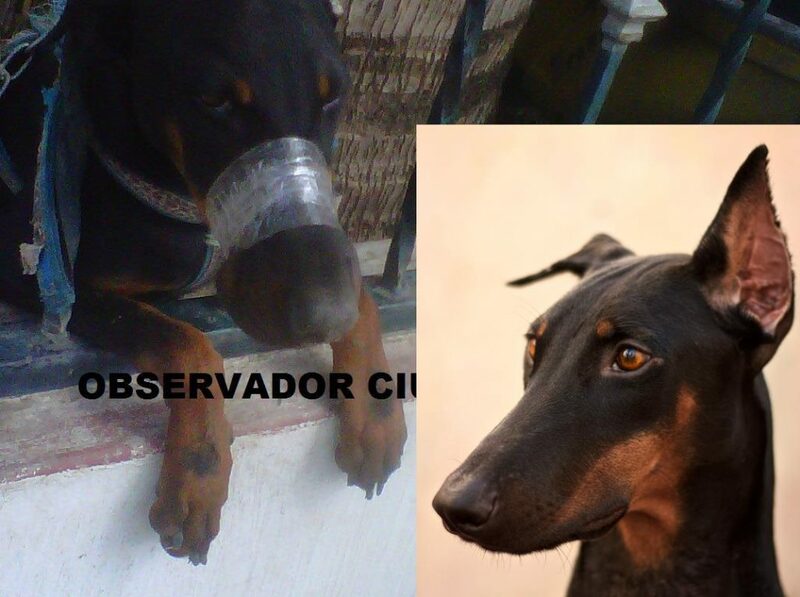 Next there was Tasha, a Doberman puppy kept at a warehouse where Héctor was shopping. And then followed Charlie (named posthumously), who he picked up off the street but, sadly, died the same day. The dogs I just mentioned were adopted by Héctor and his wife Carla and welcomed into their own home, regardless of expense. And let’s not forget that when an animal is suffering from neglect, medical treatment can often be very costly. 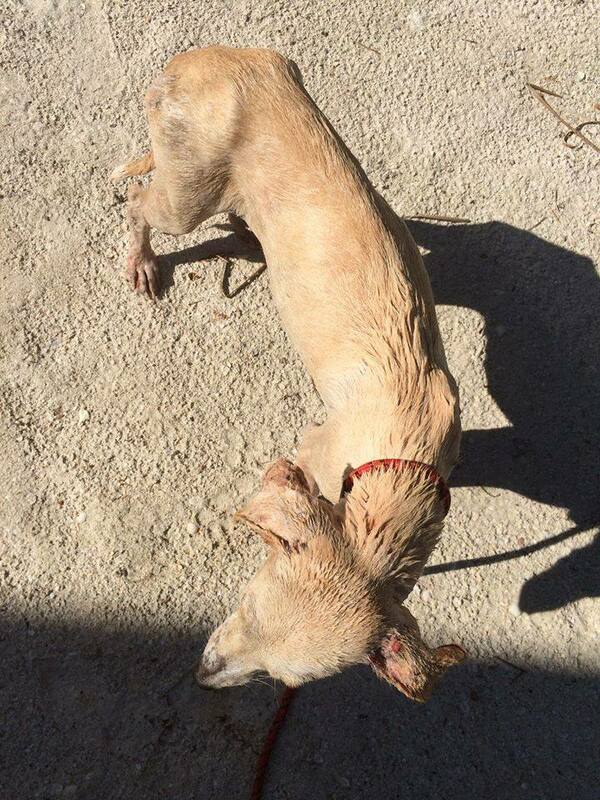 Further on, you will hear Chica’s story, one of abuse and a future of certain death. And, because she is alive, Chica the Mexican Doberman survivor educates, advocates and shares her aspirations. Together with his wife Carla, this small-scale effort is measured, effective and admired by all who know them. However, their work is not without its stressful moments when critical situations present themselves. 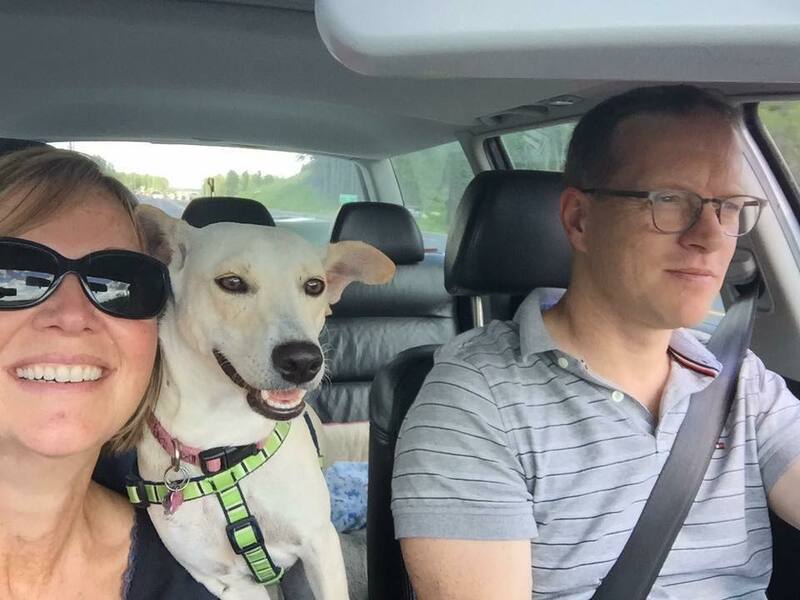 Apart from adopting a limited number of dogs they have rescued, in exceptional cases, the couple will also foster an animal until it can be placed safely elsewhere. “Sometimes I help catch dogs, take them to get medical treatment, and pick up and deliver supplies,” Héctor explains. On top of this, he obtains medical certificates for canines to travel abroad and will also transport them to the airport for flights up north. If it weren’t for these three people, Chica’s story would have had a very different outcome. But fate brought them together. In 2012, this eight-month old Doberman was rescued from a horrible situation in which she couldn’t eat, couldn’t drink, and couldn’t regulate her body temperature, all because she couldn’t open her mouth. It had been taped shut! Moreover, she couldn’t even cry out for help. Miraculously, though, some very caring and determined citizens saved her, and this pup has been enjoying an amazing life ever since. A very concerned neighbor had observed the situation and attempted to rescue her. She climbed over the fence of the property where Chica was, but got caught. However, she managed to take a photo and posted it on Facebook hoping that someone would help. 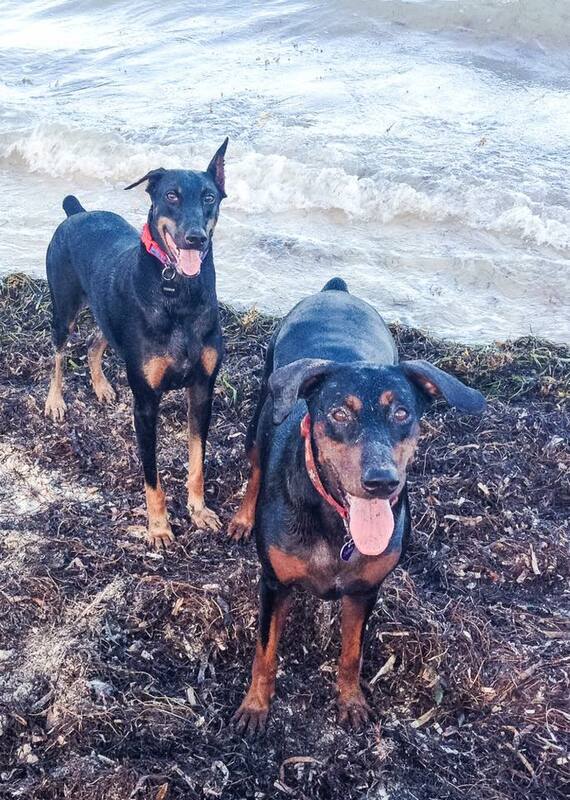 At the time, Héctor and Carla were talking about adopting another Doberman and while his wife was out of town for a few days, he decided to search for one on the internet. That’s when he came across the photo of Chica and a desperate plea from the anonymous neighbor. After hours of researching and emailing, Héctor was getting nowhere. There was an obstacle slowing down the rescue. 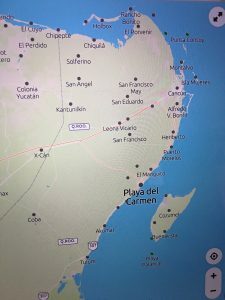 Cancún (south-east Mexico) is 1,400 miles away from where Chica was located in Tepic, in the state of Nayarit (north-west Mexico). So, what did he do? He got on a plane! When Héctor arrived in Tepic he was introduced to Miguel Dibildox, a Scout leader who provided medical attention to rescue dogs. Dibildox knew of the woman who had tried to rescue Chica. He got a name and a number, and Héctor made the call. 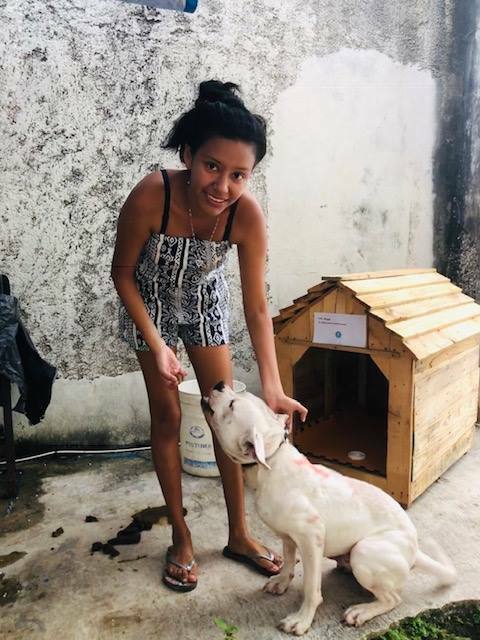 Fernanda Janine Luna answered the phone, agreed to go to the property and offer money to the abusers in exchange for the release of their dog. Several hours later, Héctor got the call he’d been waiting for. Chica was safe! I was still a puppy when I was punished. My “guardians” didn’t play with me. They never taught me good manners, or show me what not to do. That day, I just wanted to have a little fun and grabbed some laundry that was drying on the clothesline in the yard. You see, puppies are very active and have a lot of energy. How could I possibly know that was wrong? Now comes the sad part. Instead of applying what doggy experts call positive reinforcement, they punished and sentenced me to a slow, agonizing death. You see, these angry, ignorant humans grabbed a roll of duct tape and wrapped it around my mouth. But I am Chica and, as you already know, I am Chica the Mexican Doberman survivor. My mission in life is to raise awareness to make animal abuse a thing of the past. Together with my mom and dad, I help rescue abused animals and educate people so we can end their suffering. 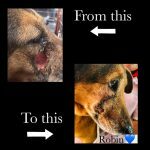 By following my story and spreading the word, you too are part of a movement to rescue other abused doggies. Having fun with my brothers and sisters. Making friends and meeting nice people. Helping doggies, rescues, organizations, local shelters, and anyone I can. Ice cream, but don’t tell anybody! Only someone who has been abused knows what that really feels like. Others can be sorry, even horrified, but the experience is everything. I am safe and happy now but many are not. I am counting on all of you to act and do what it takes to change lives…our lives! To help Chica with her mission, you can do the following. Go to http://www.chicathedoberman.org and click on the HELP tab to learn how to buy a digital portrait of your own pet. 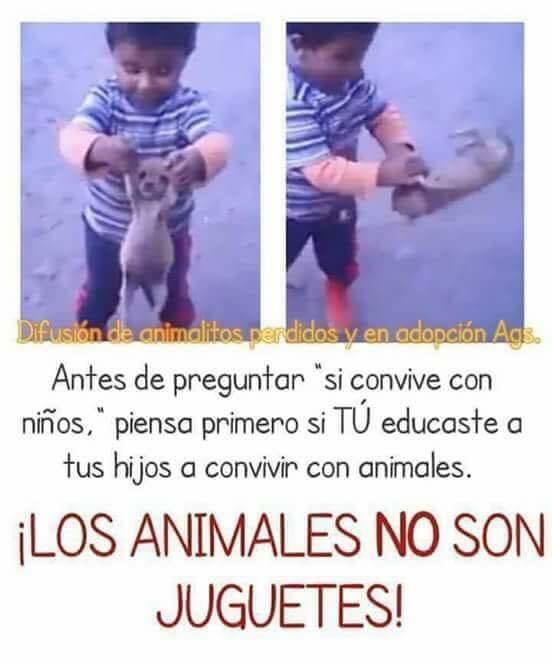 By doing so, you will help offset some of the expenses the Navarro family incurs in doing what they do for the animals. Here are the people who deserve credit for the efforts described in this week’s blog. They are the heroes. Thank you for what you do! I hope you’ve enjoyed this journey into Mexico these past few weeks. Please drop me a line if you have suggestions for other stories you’d like me to cover on this blog site. Thanks for being here. Just before I go, if you missed any of the articles in this series, here’s your chance to catch up now. There’s nobody better to talk to when it comes to why and how Canadians adopt homeless Mexican puppies. She is a Toronto native, potter by profession, who decided to settle near Cancún, on Isla Mujeres, after vacationing there. And because she was so affected by the plight of street dogs on the island, she knew she had to do something about it. “We specialize in puppies,” states Alison Sawyer, founder and operator of Isla Animals, a non-profit with its own shelter. Sawyer’s partner Trina, and Anna, who is the adoption/transport coordinator, are the only two constant volunteers, while others come and go. In addition, there is a staff of four women who clean and watch over the rescue. Here are the details of why and how the compassionate people mentioned here do what they do. In just a moment we’ll discuss flight arrangements for Mexican homeless dogs Canada-bound. However, let’s first take a look at the underlying factors that give rise to the need to do this advocacy work in the first place. 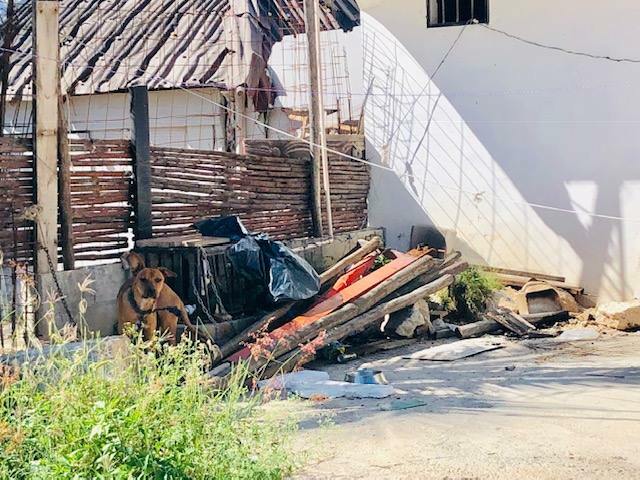 As a result of hard work over a period of 16 years, the feral and street dog population on the island is mostly solved. However, efforts now focus on owners who allow their dogs to wander the streets. But there is another side to this story as Sawyer explains. “Last July I took with me to Toronto a dog we named Olive. She was in a group of five, two adult dogs and three puppies. 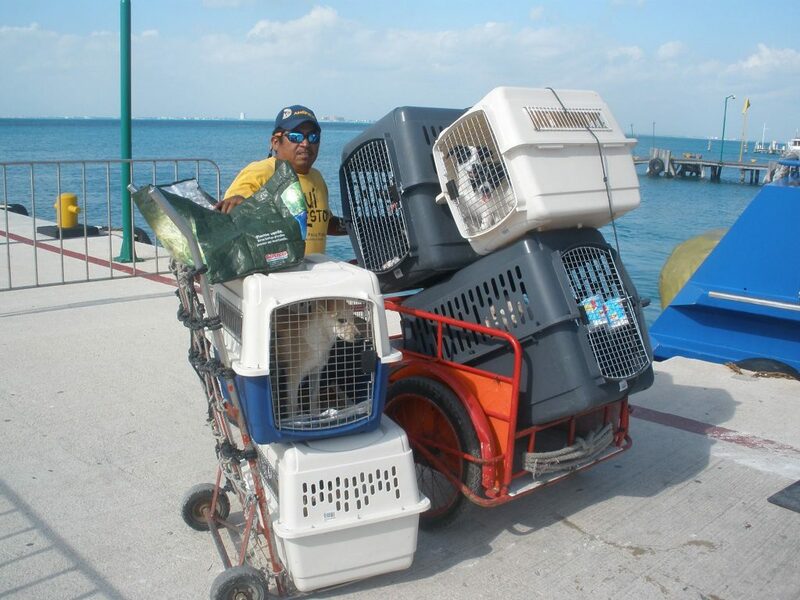 We think that they were dumped here from Cancún. This happens all the time. 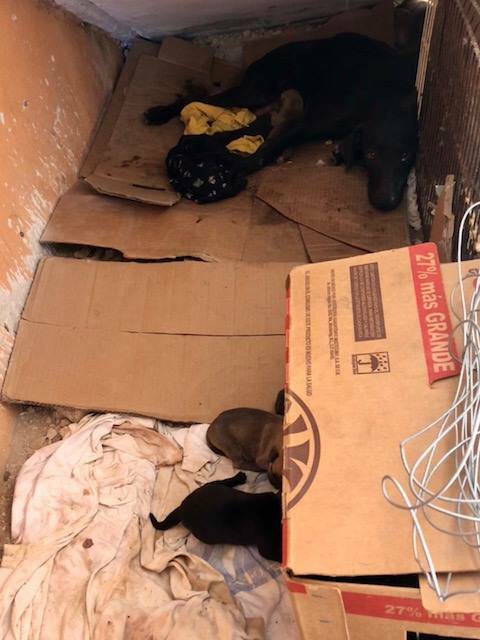 People can’t help a dog but want it in a safer place, where there is less traffic.” She added that, sadly, one of the adults and a pup were in such bad shape they didn’t make it. 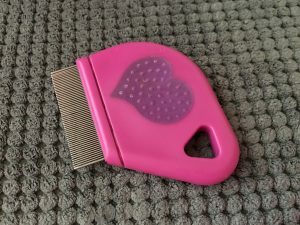 Like everyone else I have spoken to when gathering information for this series of blogs, sterilization is the top priority of animal rescue groups. “The best way to solve dog overpopulation is to prevent them from being born in the first place. But, as part of that, we also never leave a puppy on the streets,” Sawyer emphasizes. 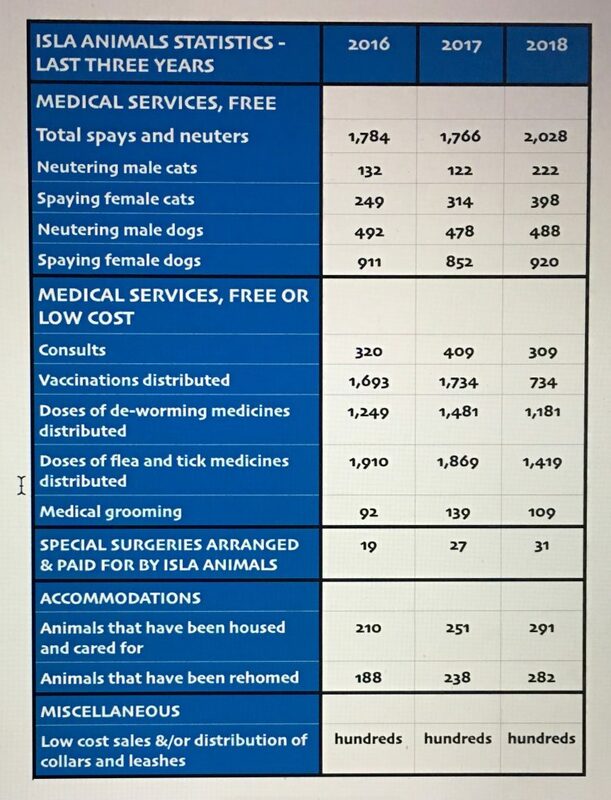 In 2016, Isla Animals performed free surgeries on 1,784 cats and dogs, and 1,766 in 2017. As the above table shows, the 2018 number was 2,028. This is nearly a 15 percent increase over the previous year and shows the determination to reach more towns and neighborhoods in the future. Fortunately, Isla Animals enjoys a very good relationship with the current local government, which provides the location where their rescue shelter is located. Sawyer comments that they have fosters who take in puppies until they have been vaccinated. And, since the shelter is not set up for large dogs, they are able to care for more smaller-sized animals. Working closely with other reputable rescue organizations is extremely beneficial. 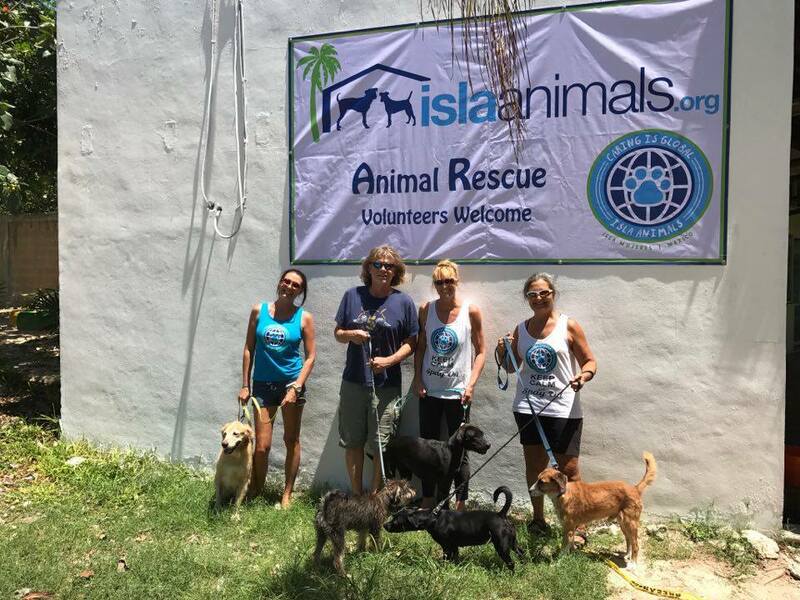 Isla Animals is able to trade rides for adopted and rescued animals, and also exchange dogs for puppies which, as we already know, is what they specialize in. And, this brings us to their partnership with Lost Dog Foundation, which I happened to mention in my previous blog. 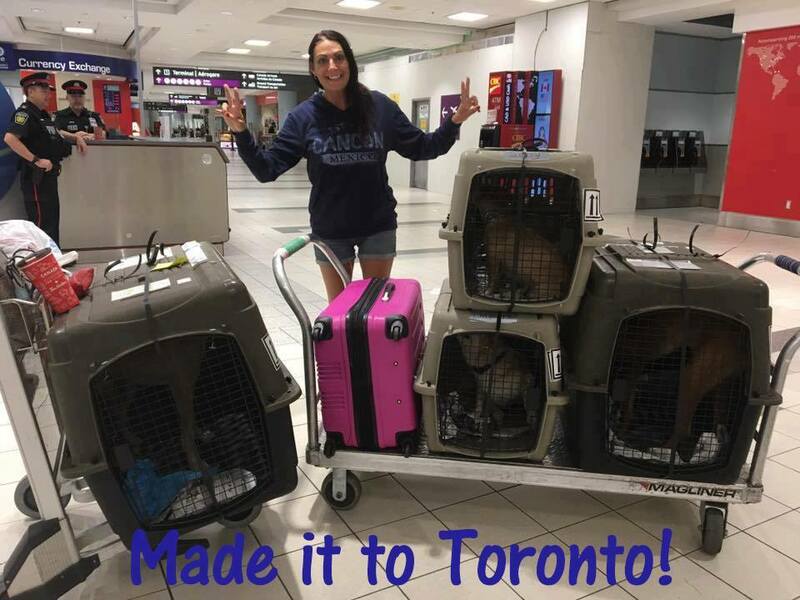 A great part of their work focuses on facilitating the journey of Mexican homeless dogs Canada-bound and US-bound. Pups that will be flying either directly to their waiting adoptive family or to temporary foster families. So, now we come to a segment that is designed to help Americans and Canadians adopt homeless Mexican puppies. These are people who are visiting Mexico, or planning to make a trip there from either the USA or Canada. For them the vacation may not only encompass the activities that tourists typically do. Quite possibly they will want to fly back home with a dog or a puppy from Mexico. The guide below is a basic must-do check list of what they need to do before they consider importing a pet. 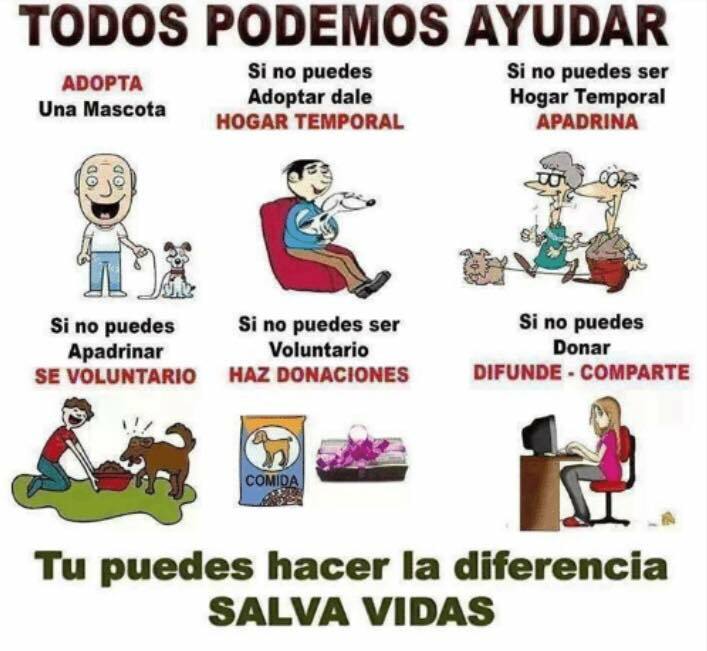 Let me add that Canadian and US residents do realize that many dogs in their own countries are waiting to be placed in a forever home. 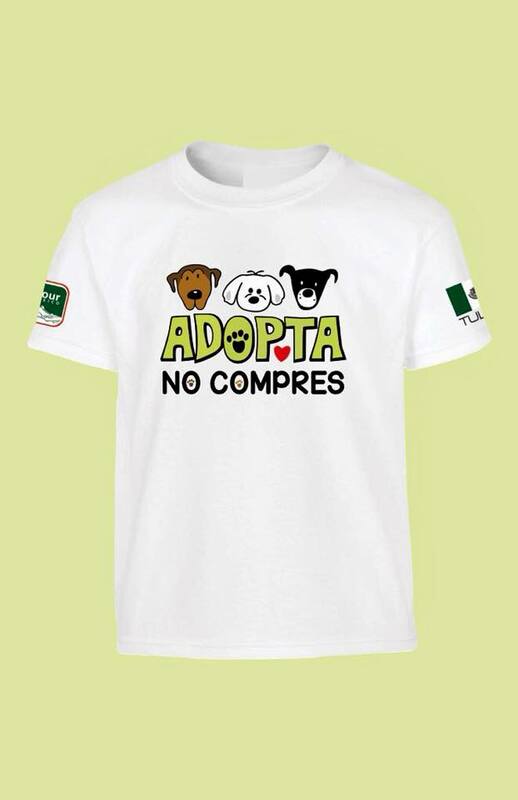 However, they are also aware that opportunities for adult dogs and puppies to find loving homes are far more limited in Mexico. For this reason, and when the opportunity presents itself, they willingly go through the process to take a homeless pup back with them. Here is the information that Isla Animals gives out to potential adopters. First you need to make sure that your airline will take pets, either in with the luggage or inside the cabin, depending on the size of the animal. 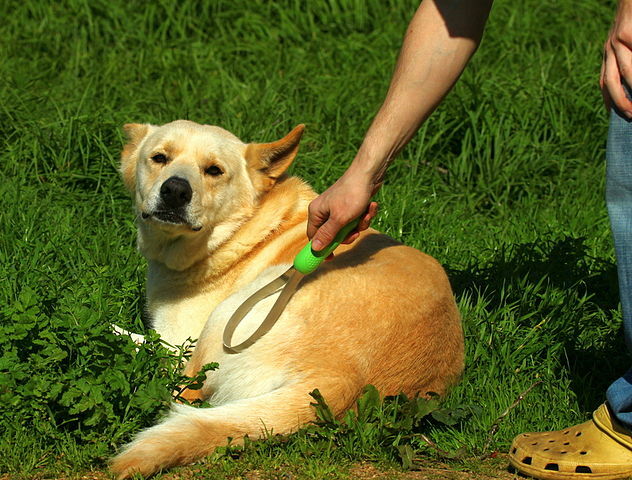 Then you have to find a vet who will vaccinate your dog for canine parvovirus, distemper and rabies, as well as make you a health certificate for Customs. Your dog needs to have had its rabies shot one month before departure. The dog also has to look health. If it has a lot of skin issues, they won’t let it in. Be sure to make a reservation with your airline ahead of time. Also make sure that whatever transportation you arrange to get to the airport will allow animals in their vans or taxis. Don’t forget to join us next week in Cancún, our final destination on this eye-opening journey. You’ll meet a very special girl called Chica and her dad, mom and orphaned siblings. See you there! 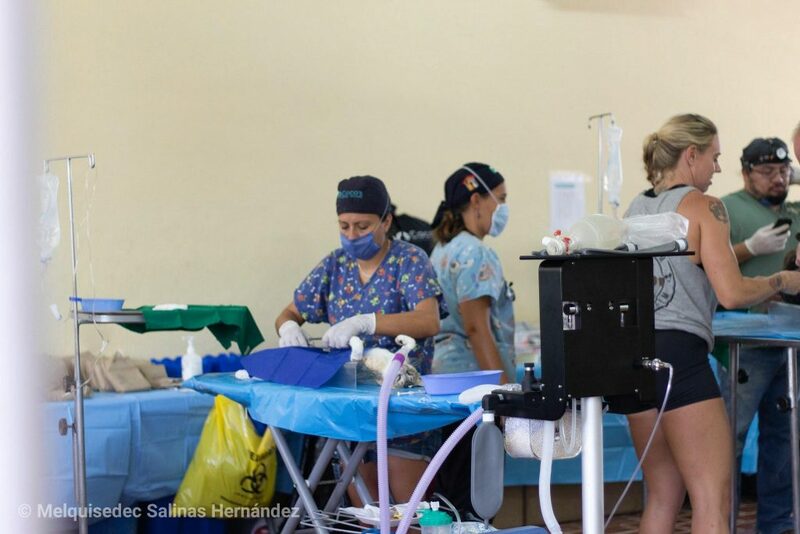 Last week we wrote about their dog houses and now we focus on veterinary medicine in Playa del Carmen. This is Mexico’s beautiful Riviera Maya, but it also has a not so pretty side when it comes to Mexico’s vulnerable pets. 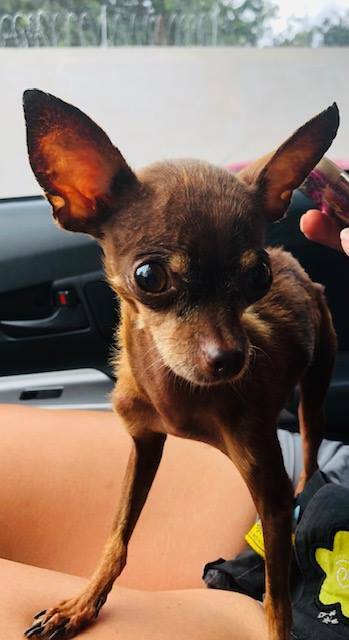 Mid November 2018, she was found wandering in traffic, confused and terrified. Thankfully, though, Alex saw this tiny, skinny pup and took her home. When she was unable to find its owner, The Snoopi Project took on this extreme rescue case. Founder/Director, Kelly Whittemore, went immediately to HospiPet Playa veterinary clinic to see Dr. Eduardo “Lalo” Cárdenas. It was evident that this very sick girl had been abandoned, but she now has a new name…Chanel. 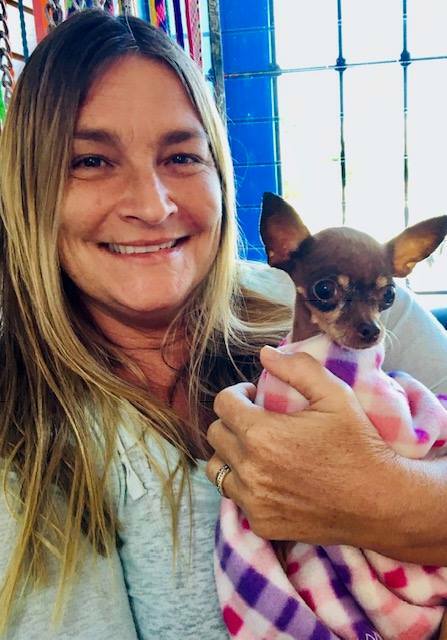 Yes, that same itsy bitsy Chihuahua that you saw last week in Whittemore’s arms, and also at the top of this page, being held by Dr. Lalo. The first examination revealed that she was approximately seven-year-old, extremely malnourished, weighed barely 2.5 pounds and refused to eat or drink on her own. She had lost 50 percent of her hair, suffered from hypertension in her lungs, a bladder tumor and heart worms. Will she survive? But Chanel is a little fighter. When strong enough, she will undergo surgery to remove the tumor, be spayed, have her teeth cleaned and start heart worm treatment. In the meantime she is getting excellent care from her vets and foster mom, Cryss. HospiPet Playa Clínica Veterinaria was established in 2010. It’s a medical center that includes specialized surgery and cancer treatment for small species. 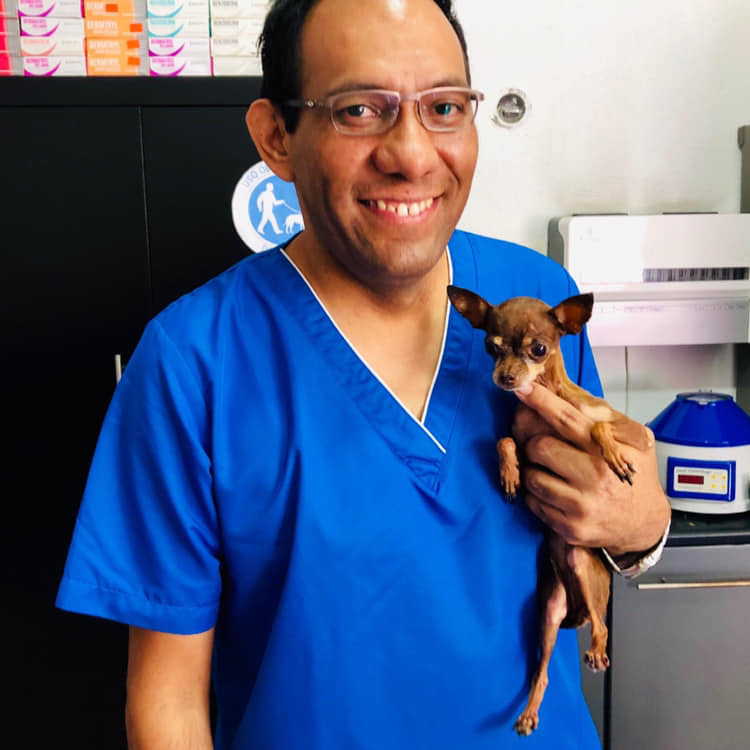 Dr. Eduardo “Lalo” Cárdenas has been practicing in Playa del Carmen for 25 years so, with that kind of experience and an excellent reputation, I asked him about veterinary care for Mexico’s most vulnerable. 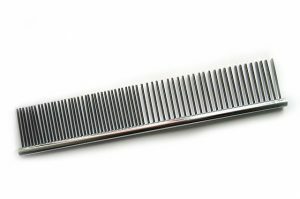 Pet Peeves Unmasked: What are the most common illnesses you see in your practice? 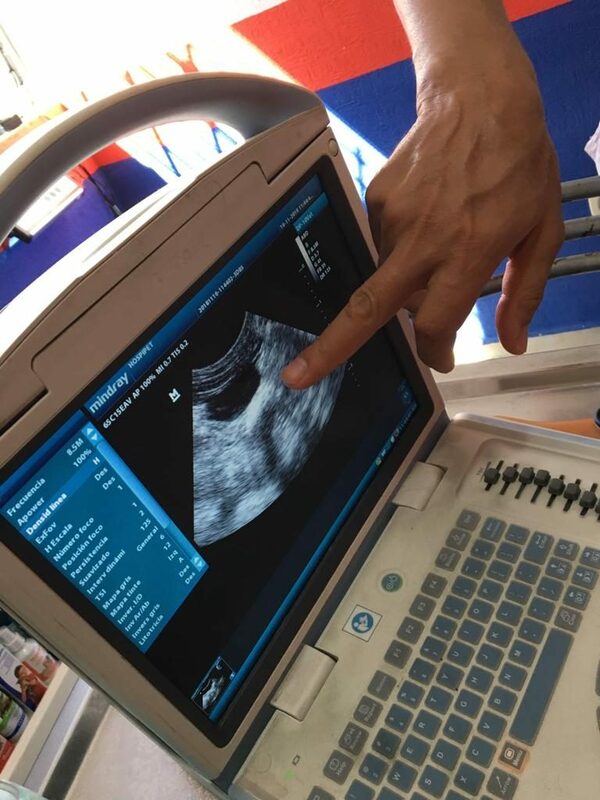 Dr. “Lalo”: Many of our cases involve hemoparasitosis, such as ehrlichia and anaplasma. 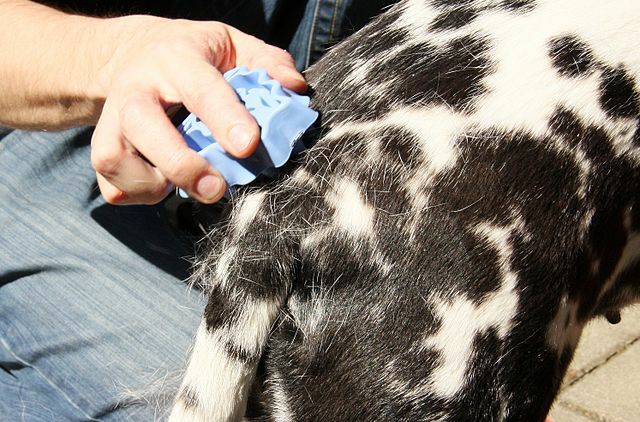 Ehrlichiosis is an infectious tick-borne illness. The ehrlichia bacteria attacks a dog’s blood cells and causes chronic infection. Anaplasma is also spread by ticks. Anaplasmosis comes in two forms and infects white blood cells and platelets. DL: We also treat a lot of patients suffering from viral infections, like parvovirus, feline leukemia, and distemper, as well as skin infections, such as atopia. Canine parvovirus (CPV) is highly contagious, the most common form being intestinal. 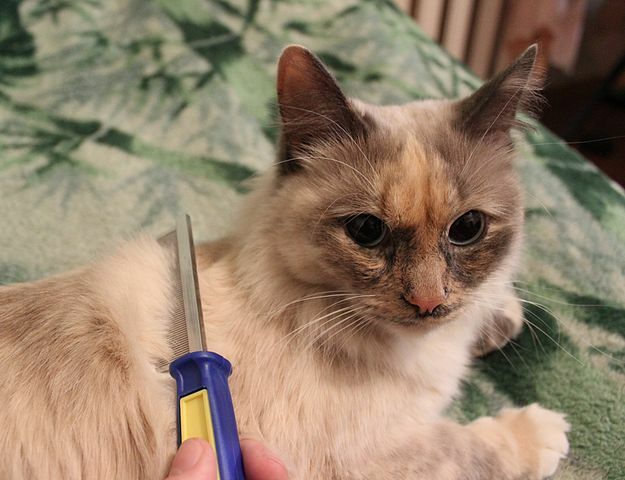 Feline leukemia virus (FeLV) is a disease that impairs a cat’s immune system and commonly causes anemia and lymphoma. Canine distemper has no known cure. It affects the respiratory, gastrointestinal and central nervous systems, as well as the conjunctival membranes of the eye. Atopia. Atopic reactions are caused by localized hypersensitivity reaction to an allergen. PPU: Are some of the illnesses you mentioned prevalent in tropic climates such as this, especially when pets are outdoors for extended periods? DL: Yes, that is so. Hemoparasitosis is typical of hot, humid regions like ours. 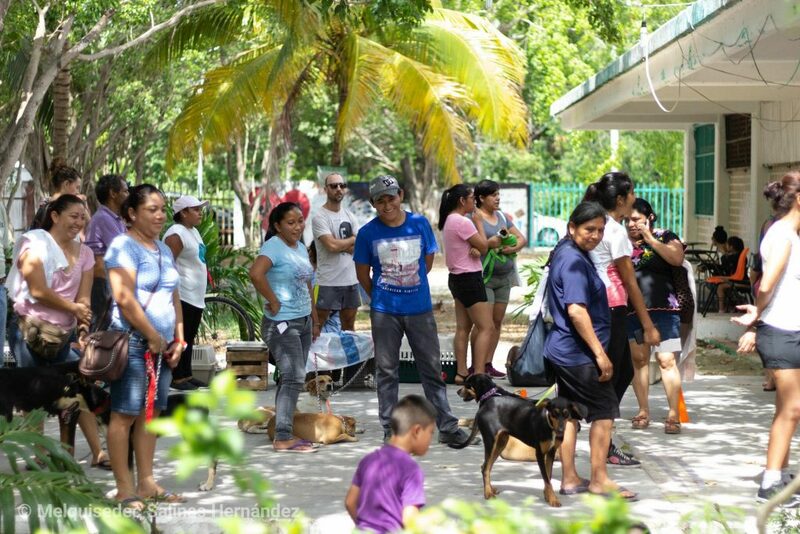 PPU: In Playa del Carmen do you have campaigns that offer free or low-cost sterilization and parasite treatment for dogs and cats? DL: Absolutely. Both local government and private organizations hold events so that low-income families can have their pets neutered. PPU: What can you tell us about incidences of mistreatment? DL: First of all it’s to do with irresponsible pet ownership, not seeking early medical attention. And, second, aggressive behavior between pets where there are multiple family members living under the same roof. This shows a total lack of control and planning. And, this problem also occurs at animal shelters. DL: I’d tell them to assess their personal circumstances — social, economic, health — that directly impact their ability to look after a pet. People should evaluate these things before getting a dog, or a cat. And, if they are not willing to allow the animal to become a member of the family, it would be better for them not have one. PPU: What’s the most valuable advice you can give to families who are struggling financially? Please be sure to check in next week. 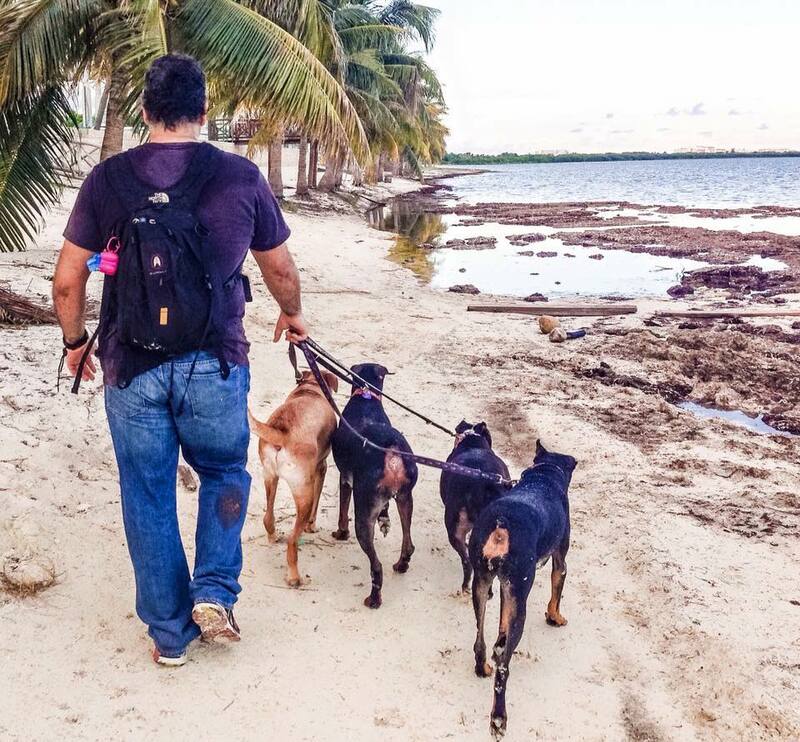 We’ll be returning to Tulum to see how the community works together for the good of the animals. 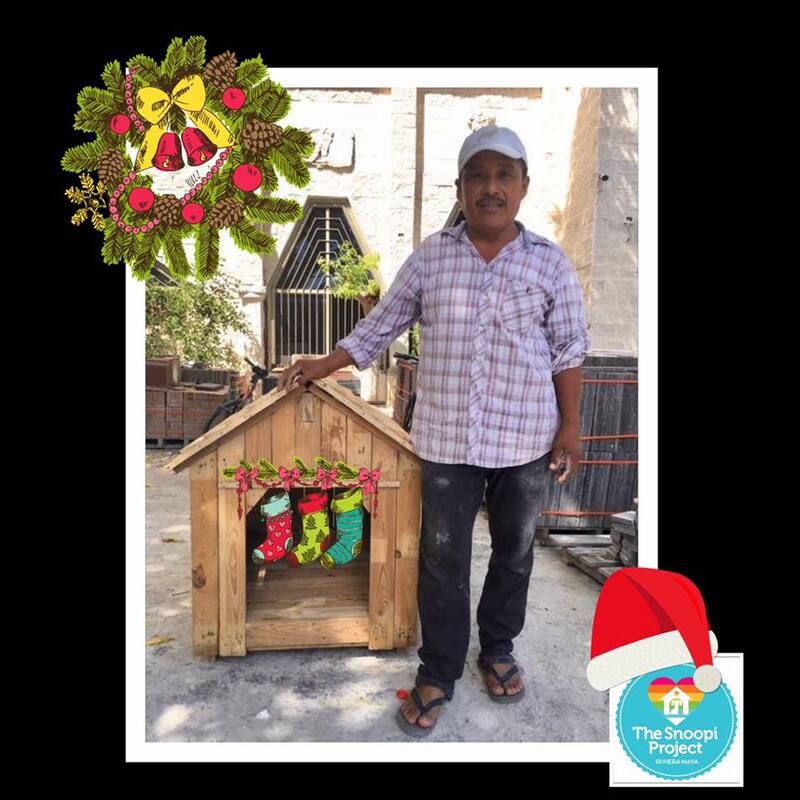 This week we show how dog houses protect Mexican pets that have a human family but live mostly outdoors, often in deplorable conditions. Sadly, and for whatever reason, the canines are not allowed inside the home. Our photos tell the stories of before and after. And we learn, first hand, why one small volunteer organization based in Playa del Carmen is able to step in and help. 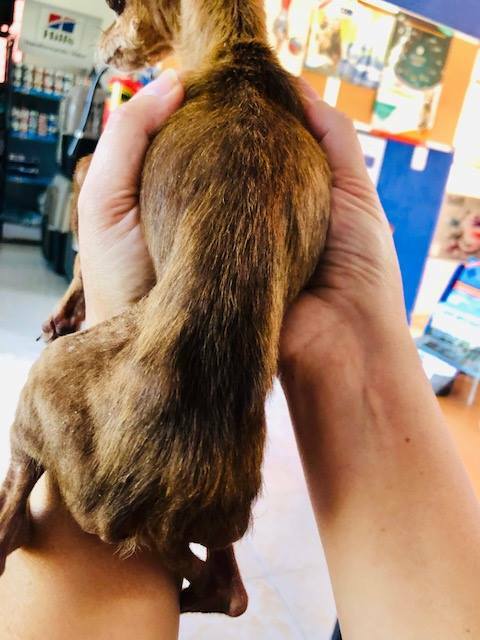 “When we started in July 2015, our initial intention was to provide animals with a proper shelter, educate owners on responsible pet ownership and promote spay/neuter,” explains Kelly Whittemore, Founder and Director of The Snoopi Project. 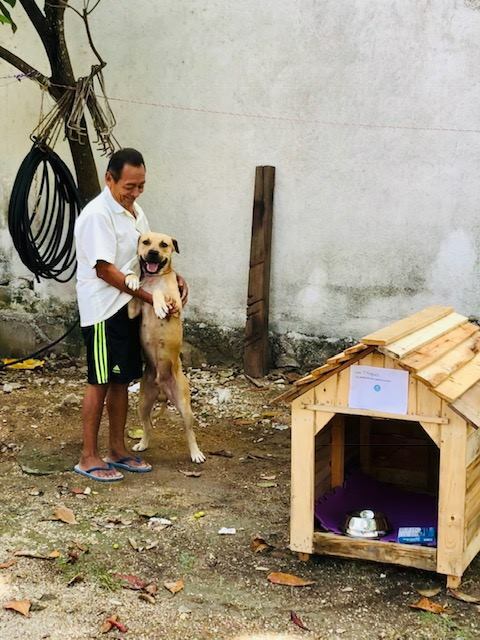 In order to assist local pet owners who are obviously struggling economically, this organization donates dog houses for canines that are kept outside. These items are made locally out of recycled wooden pallets from local businesses. The objective is to protect the animals from the tropical weather conditions prevalent in the state of Quintana Roo, on the Riviera Maya. That way, the animals are sheltered from the blistering sun and torrential rain that is typical during the summer hurricane season. 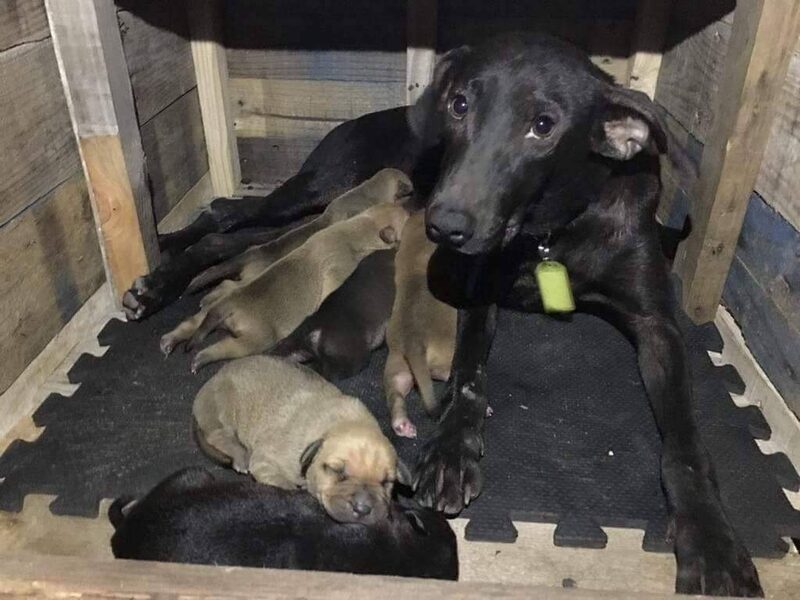 “On average, we are now able to deliver two to three dog houses a week, sometimes more,” says Whittemore, who is originally from California and worked as a veterinary assistant in North Carolina before settling in south-east Mexico. The Snoopi Project pays a carpenter, Alonso Roda, for his work. The extra money he earns on top of his full-time job allows him and his family to have a better life. The first dog house was delivered in July 2015 and the total count up to and including end December 2018 stands at 596. What an amazing achievement! The reason that The Snoopi Project is able to do its work is entirely because of the donations it receives. And, although providing dog houses toprotectvulnerable Mexican pets is the principle objective, that is not all they do. Here are some examples. 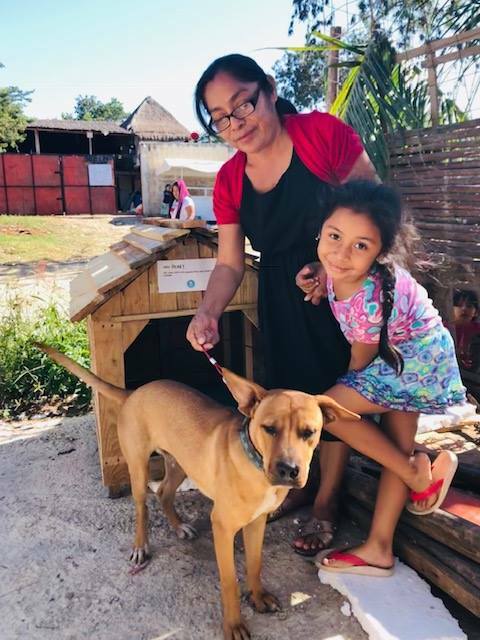 Each family that receives a dog house is also gifted de-parasite medication and flea/tick protection for 30 days, for all dogs on the property. Needy pets also receive food and water bowls, collars with personalized ID tags, and toys as well as supplies of dry food. 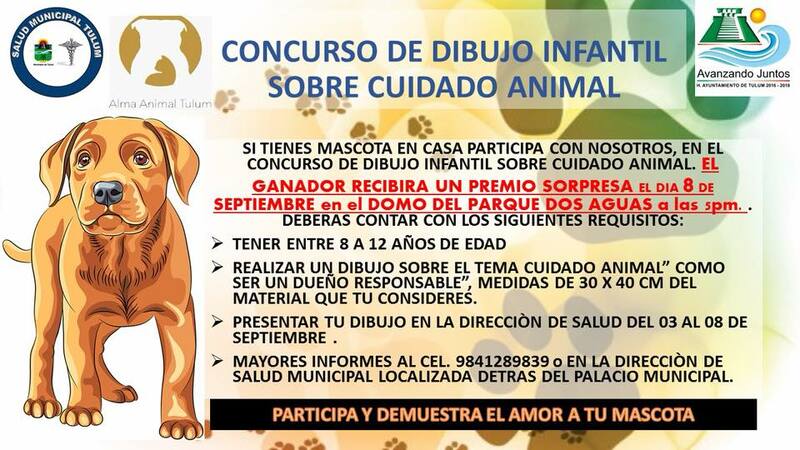 Help is also provided so that pets can be sterilized. While out on the streets, if they see an extreme case where an animal is injured, sick, abused or abandoned, they will take action. It’s important to note, however, that The Snoopi Project is not a shelter. All animals they rescue are either fostered or taken to a private boarding facility. Here are some of the people who deserve credit for the efforts described in this week’s blog. They are Mexico’s outdoor dog heroes. They are the people who care about the wellbeing of these sentient beings who, through no fault of their own, lack adequate care and protection. Thank you for what you do! Please be sure to follow me next week. We’ll be staying in Playa del Carmen to visit a veterinary hospital to discuss injuries, disease and preventio. It will also feature the challenging medical case of tiny patient, Chanel, seen here in the arms of Kelly Whittemore. This blog began with a single topic, but then it grew into a series all about Mexico’s street dog heroes. To be more specific, it zeroes in on the tropical south-east region renowned for its beaches, archeological sites and eco-tourism. 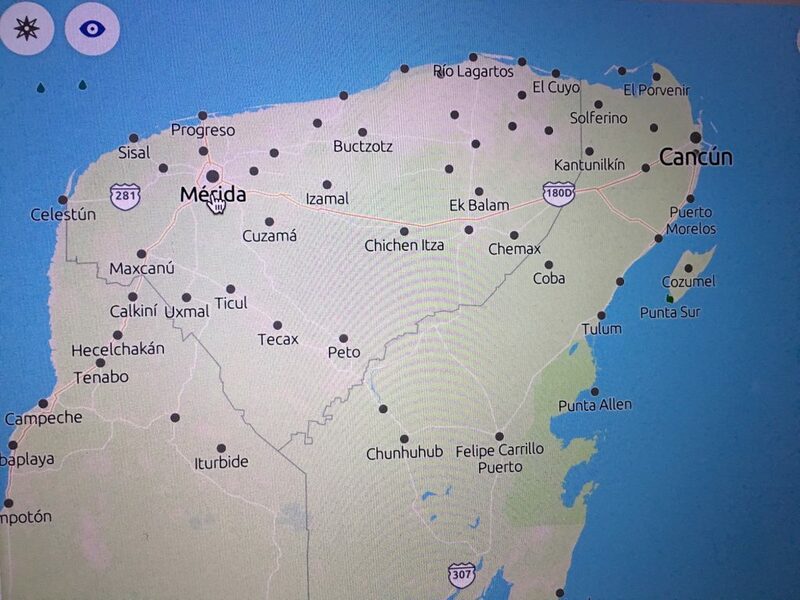 The action starts in Mérida, Yucatán, and travels across the state of Quintana Roo, with stops in Tulum, Playa del Carmen, Isla Mujeres and Cancún. And if you’re wondering who the heroes are, they represent the three countries of North America (Mexico, Canada and the USA). 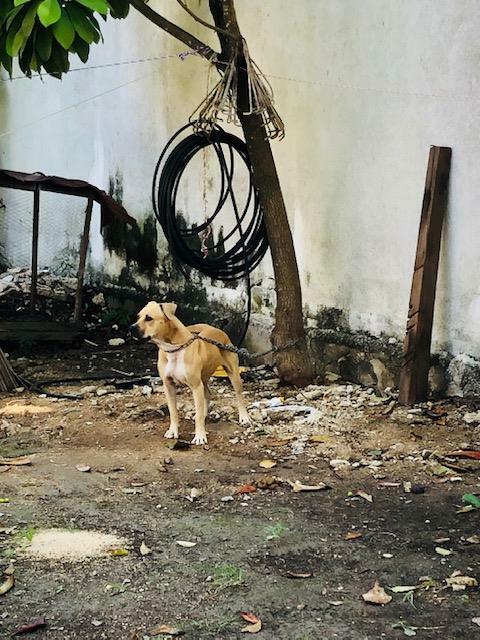 What first caught my eye mid 2018 was an article I read in the online version of the daily publication “Yucatán Al Minuto.” It dealt with outdoor feeders and waterers for dogs and cats that roam the streets of Mérida, the capital of the state of Yucatán. At the time, political campaigning was in progress for the upcoming general election. Mexicans would soon be voting for a new President as well as state officials nationwide. 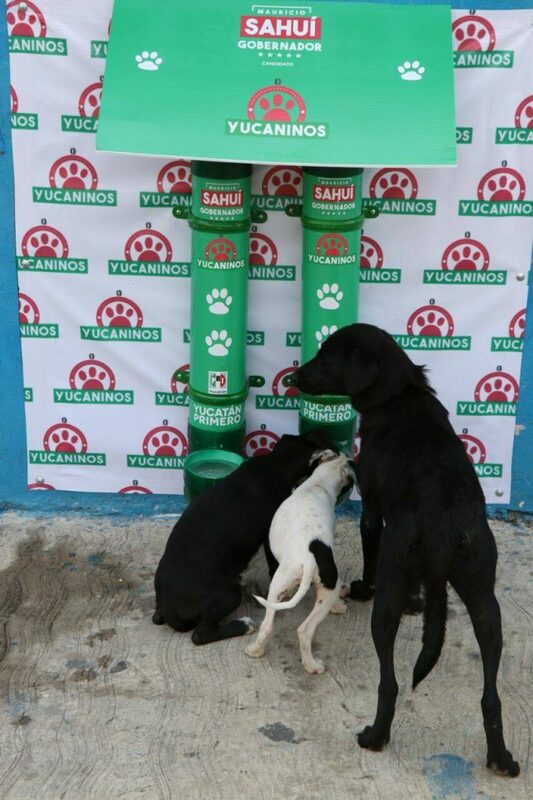 Animal lovers who were working on behalf of the PRI party candidate running for state governor decided to launch an initiative called “Yucaninos.” This word comprises the first four letters of Yucatán, and caninos, Spanish for canines. Those working on this project decided to install the state’s first ever feeders and waterers in Mérida. Then, prior to the launch, they held orientations to gather the support of residents in the Emiliano Zapata neighborhood. In addition to that, the plan also included recruiting volunteers to ensure that fresh food and water was always on hand and being properly dispensed. Unfortunately, I was unable to get comments from people on the ground there. However, the program appears to have been a success and was replicated in other communities. 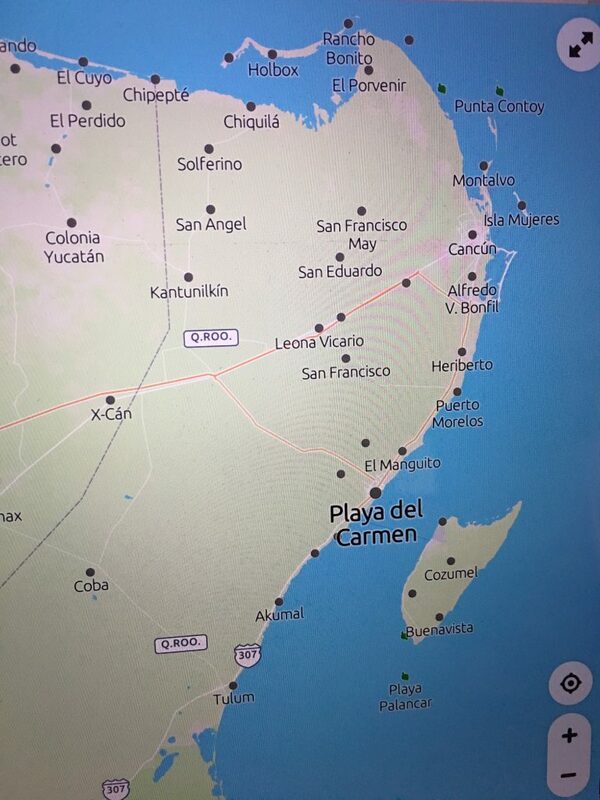 One of these is Tulum where we will now make a stop. Those who know Alma García well can tell you that she has boundless energy and a fighting spirit. And it is these qualities that have enabled her to do the following three things. Firstly, she and her Italian-born fiancé founded and manage two very successful boutique hotels and also offer eco-tours to visitors from around the world. 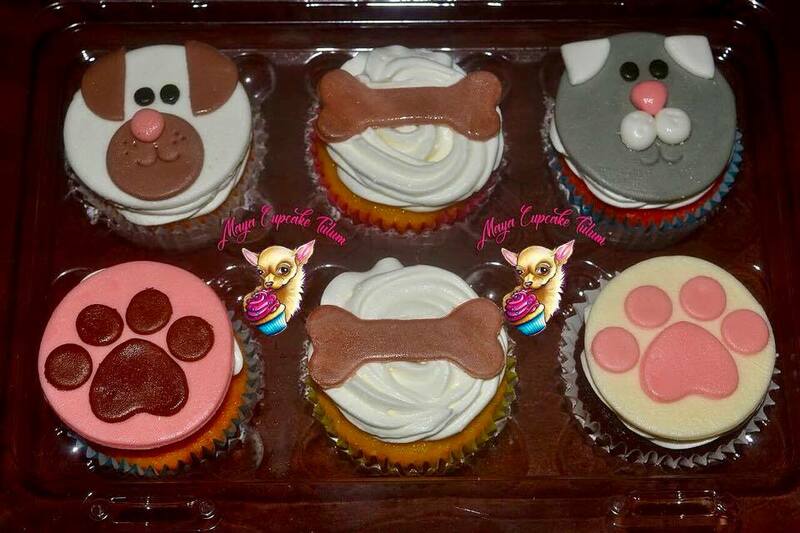 Second, García loves animals and raises money for local homeless dog and cat populations. And, her third endeavor is to push herself further and win more marathons! It’s certainly disappointing but there are times when you have a great idea but it just doesn’t work out. That’s what happened when this entrepreneur set up feeders close to her hotels. As my readers probably know, distemper is highly contagious and potentially lethal. 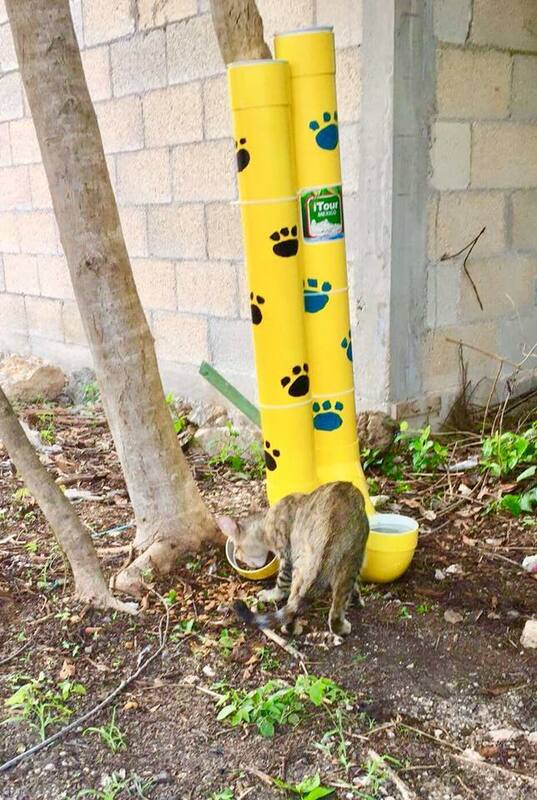 So, when there was an outbreak of this disease in Tulum, the local authorities determined that the feeders had to be removed to prevent it from spreading further. 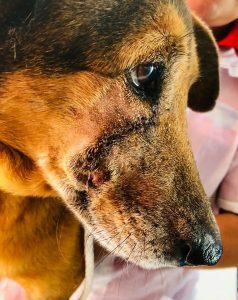 Despite this setback, however, García continues to help Mexico’s street dogs and cats in other ways. 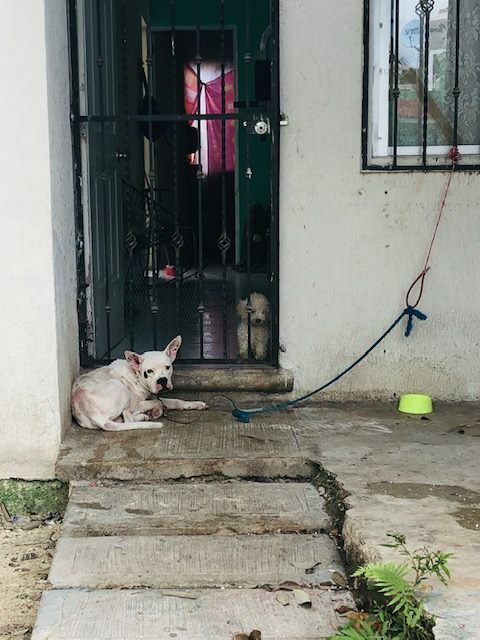 Through their support, García is able to buy food and contribute towards the cost of spay and neuter programs to reduce the canine and feline populations on the streets. In addition, funds are allocated to construct dog houses out of wooden pallets made by a local carpenter. That way, some of the animals can shelter from the blazing sun and torrential rain. Here are some of the people who deserve credit for the efforts described in this week’s blog. 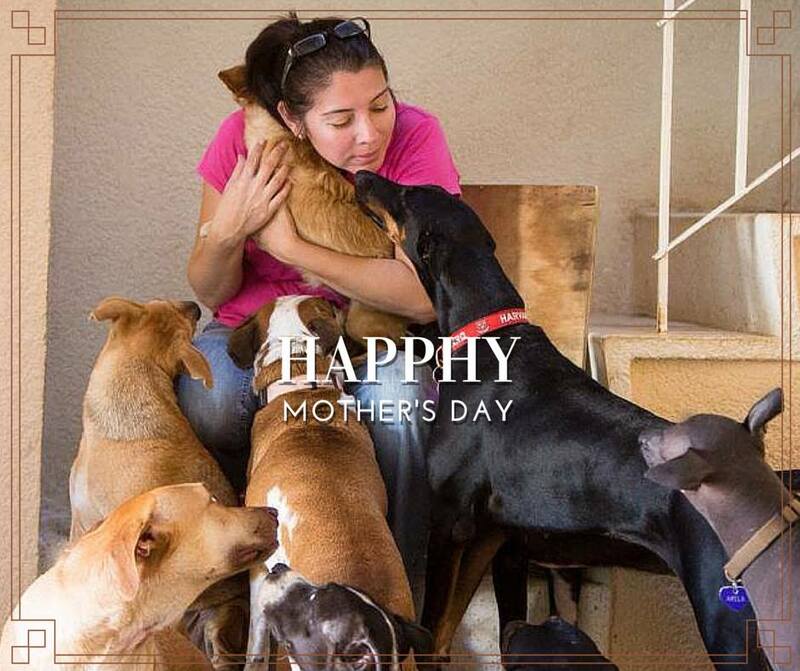 They are Mexico’s street dog heroes. They are the people who care about the wellbeing of these sentient beings who, through no fault of their own, end up struggling to survive on the streets. Thank you for what you do! Yucatán gubernatorial candidate, Mauricio Sahuí; Edwin Espadas, who worked on his electoral campaign; and the residents of Mérida’s Emiliano Zapata neighborhood. Please be sure to follow me next week. 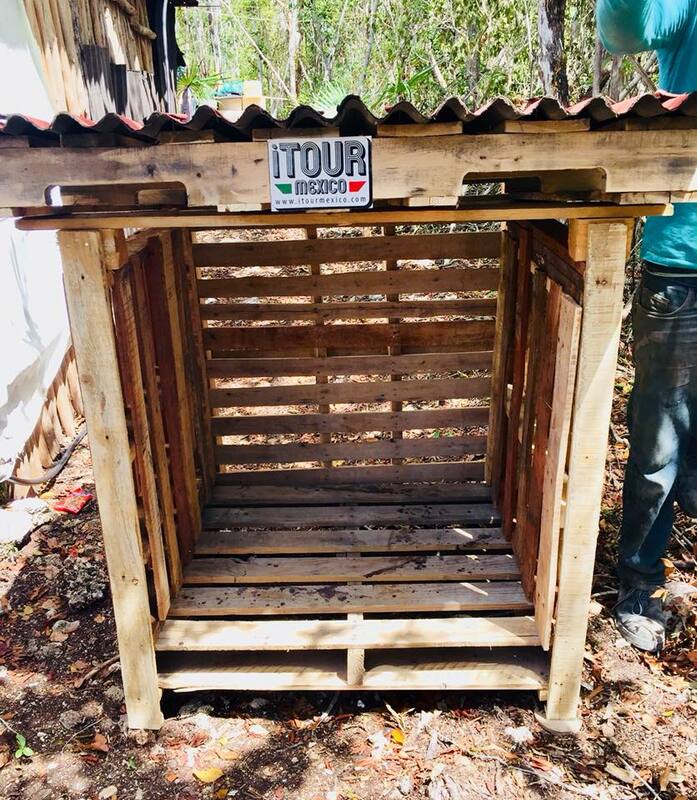 We’ll be taking a trip to Playa del Carmen for more on dog houses, the before and after photos, and The Snoopi Project! 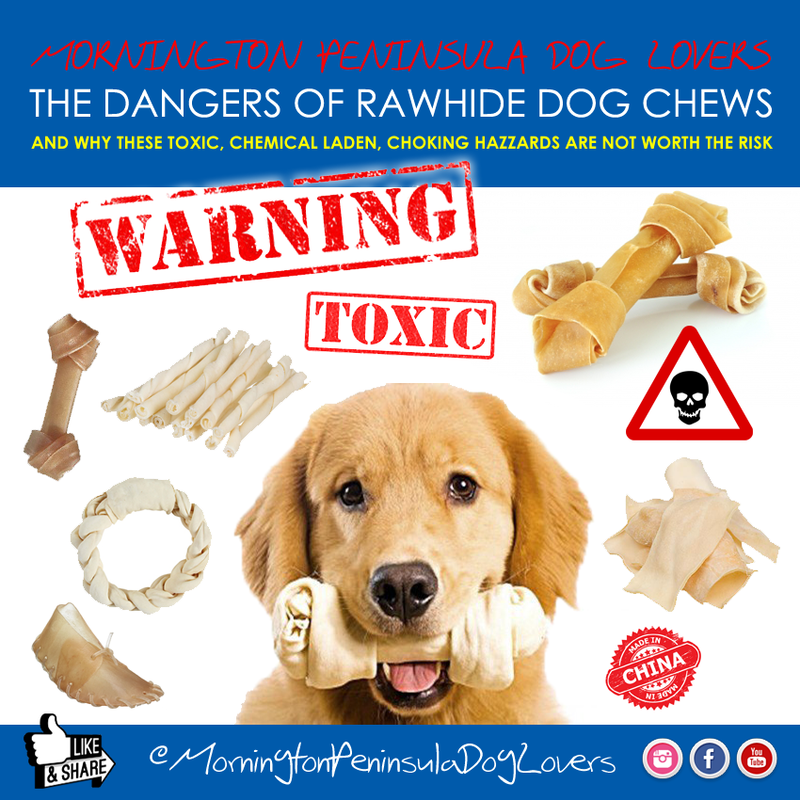 Dogs love them yet a rawhide bones safety warning is absolutely necessary. Why? 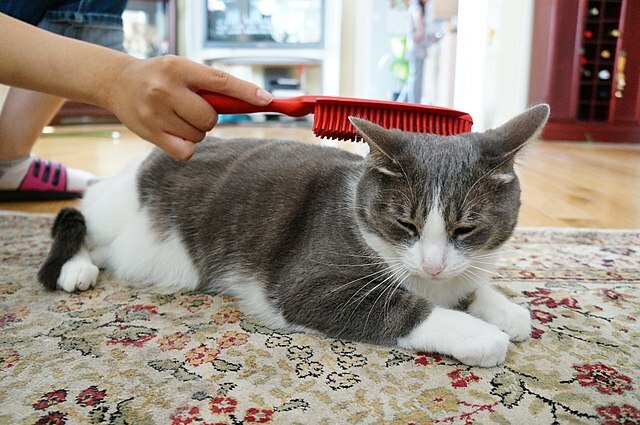 Because nearly all the brands you see online and on the shelves of your favorite pet supply store are constructed with hide from dubious sources and full of toxic chemicals that are used in their manufacturing process. 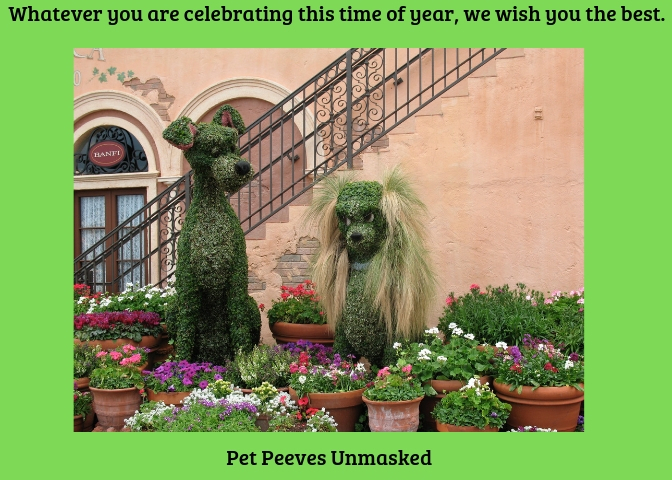 In fact, they have to be among the worst “entertainment” items ever created for dogs. This kind of rawhide is more like leather because it goes through many of the same processing steps that are used to make shoes, handbags and a host of other items. * The hides are soaked in a highly concentrated salt solution to kill any protein-destroying organisms. * Then they are treated with either an ash-lyme solution or sodium sulphide liming to strip off any hair or fat. * Next, more chemicals are applied to separate the different layers, since only the inner most ones are used for the chews. * The hide is then bleached white. * A chemical preservative is applied so the hide doesn’t spoil. * A coloring agent is applied. * The leather is then cut, rolled and glued into the desired shape, packaged and shipped out. Rodney Habib, Canadian activist and founder of Planet Paws. Dr. Karen Becker, holistic veterinarian. 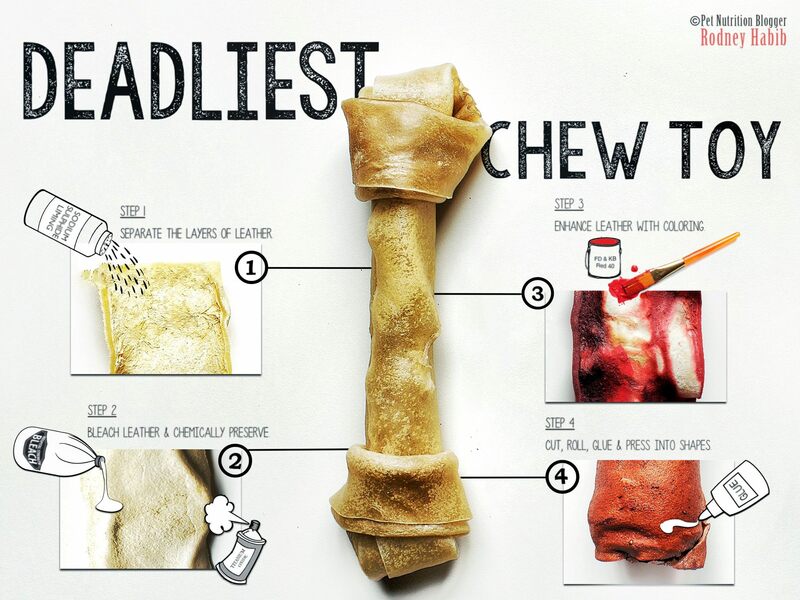 A rawhide bones safety warning like this helps prevent choking, intestinal obstruction and death. Like so many others, the people mentioned here hadn’t received a rawhide bones safety warning. These testimonials speak for themselves. 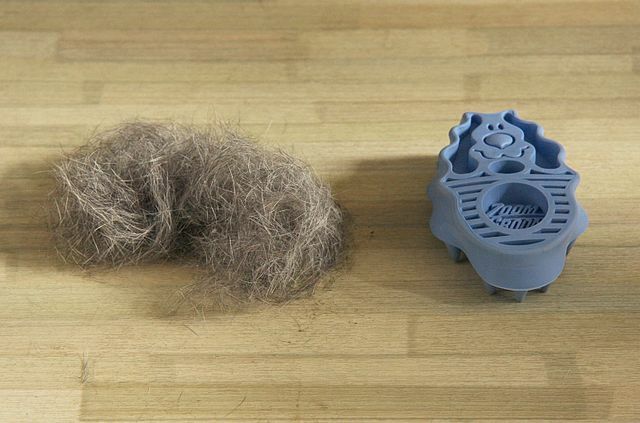 Besides, there are other ways, much safer ways, to provide enrichment for your beloved pets.